Sicily is the largest region in Italy as well as the largest island in the Mediterranean Sea, separated from mainland Italy by only a few miles of water. It has a history of being conquered by multiple cultures over the centuries, yet Sicily retains its independent culture while still being something of a melting pot. Europe's largest active volcano, Mt. Etna, is near the eastern coast of Sicily, and much of the rest of the island is hilly or mountainous. There are other active volcanoes on islands just off Sicily's coast, including Stromboli and Vulcano. There are five autonomous regions in Italy, designated because of their unique cultural identities and to preserve languages, and Sicily is one of them. Sicilian is spoken as frequently as Italian, though plenty of its words are borrowed from other languages. Many Sicilian dishes are characterized by exotic spices and the coupling of sweet and sour, adapted from Arab cuisine. Several churches in Sicily are considered fine examples of Norman architecture, and a temple complex in the southern part of the island include some of the best-preserved Greek temples. You can take a train from mainland Italy to Sicily. 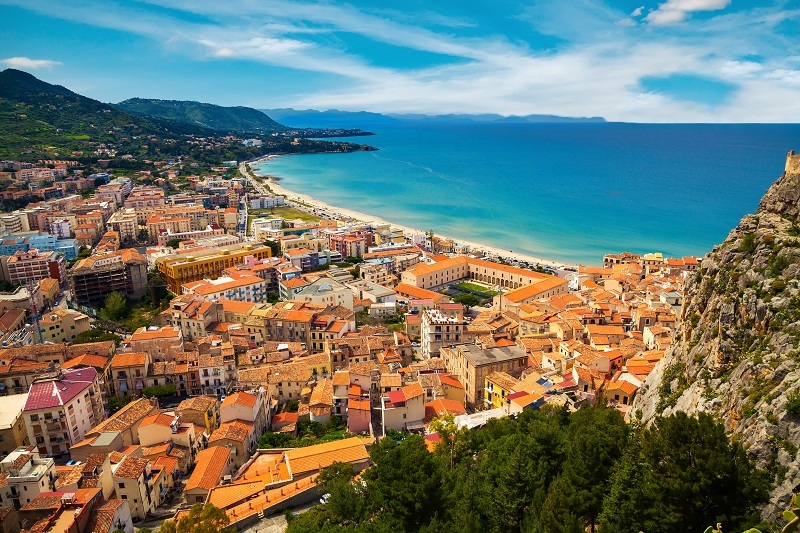 The whole train goes onto a ferry from the mainland, and you can reach a few cities by train once on the island, including popular beach resort towns like Taormina. For the most part, Sicily is best explored by car.